It’s not easy to be a public official. It involves dealing with not only a lot of tough issues and often unappealing choices. It also entails listening to unhappy constituents who often express their feelings vehemently and with anger, especially in our current age when there is so much of the latter going around. And, of course, you have to deal with people like me. As a result, I thought it would be good to highlight some candidates for office here in Montgomery County who I think have the right temperament for public office. This is wholly different from whether I agree with them on issues and as a result I don’t plan to vote for all of them (and I don’t live in all of their constituencies). It does mean that they strike me as even-keeled people who will address issues thoughtfully and have a good capacity to listen to people and take on board the views of people with whom they disagree. In an election with a plethora of candidates, it seems worth identifying some who deserve a look-in to see if they are what you are seeking in a candidate. One caution: Writing this blog gives me the opportunity to meet a good many candidates. In truth, however, it’s only a fraction of the many running for office and space is limited even on the Internet. So please don’t take omission from here as even the most oblique indictment. There are a lot of good people running for office. Here are just a few of them. Aruna Miller is running to represent the Sixth Congressional District. 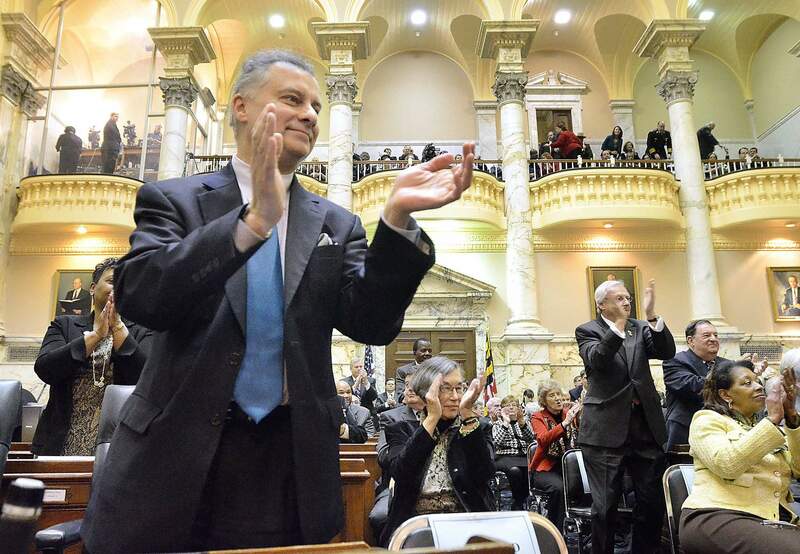 The people who work closely with Aruna in the House of Delegates admire and respect her as a serious, hard-working legislator, and she has received the bulk of their endorsements. I only know Aruna so well but what I see only verifies these impressions. Del. Miller brought an unusual level of calm maturity and experience when she entered politics. Unafraid to stand up for principle, she can also reach out and work well with others. Evan Glass is running for Council At-Large. 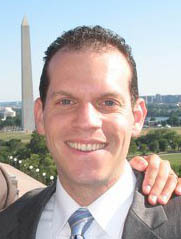 I got to know Evan because we served on the Board of Equality Maryland together. He’s a great listener and excellent communicator, perhaps not a surprise given his extensive work in journalism. Evan also has the uncanny ability of knowing when and how an intervention in a political debate can have the greatest impact. He was one of the most quietly effective and useful members of the Board. Marilyn Balcombe is running for Council At-Large. Marilyn is best known for her work in the Upcounty and on the President/CEO of the Gaithersburg/Germantown Chamber of Commerce. I’ve found Marilyn to be an effective and strong yet pleasant advocate. 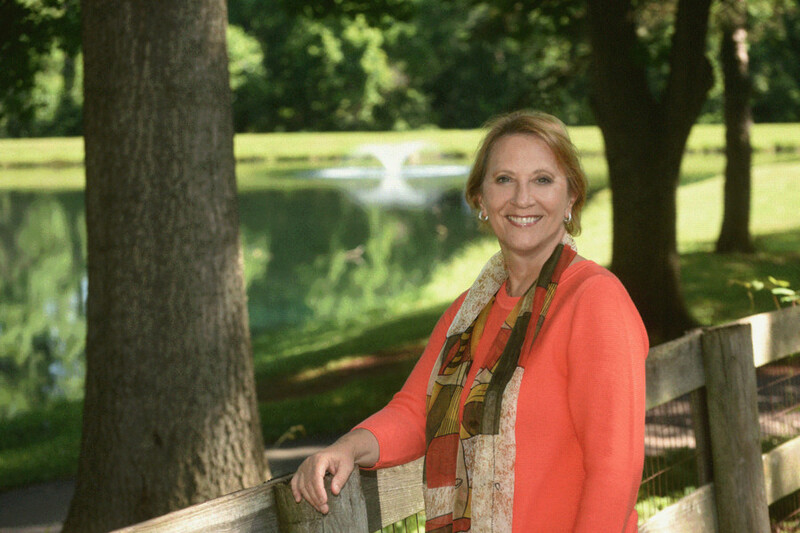 She has done a lot over the years to make Germantown a more vibrant place. Marilyn is someone who already knows a lot but also is smart enough to know that there is always more to learn and listens well. 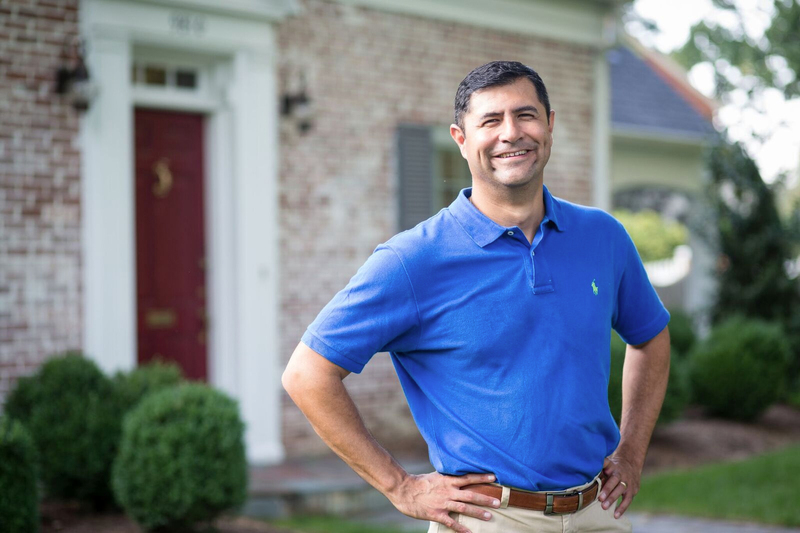 Gabe Albornoz is running for Council At-Large. Gabe has headed the County Parks and Recreation Department and had the unpleasant task of dealing with major budget cuts due to the economic crisis. He lives in my legislative district and I got to know him through our mutual activity in local Democratic politics. Gabe is a natural leader yet also very easygoing and unusually good at dealing with criticism and bringing people together. A class act. 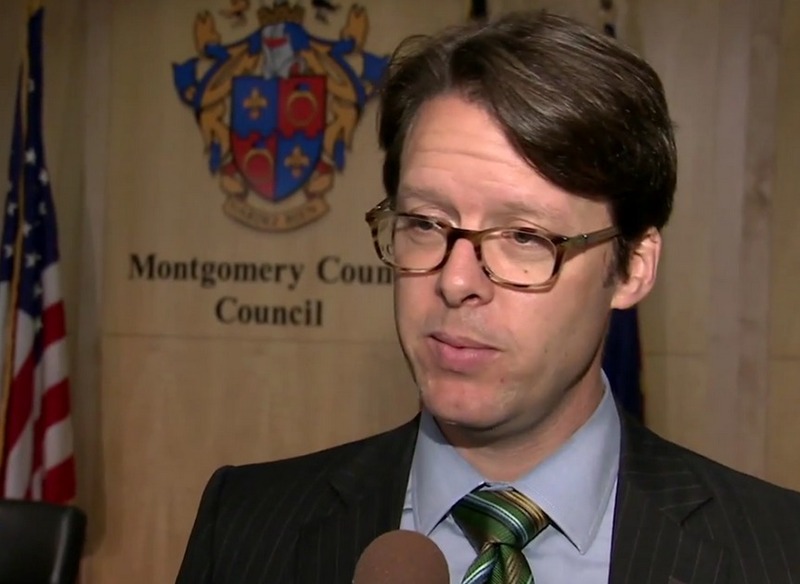 Hans Riemer is running for reelection to a third (and final) term for Council At-Large. I’m purposefully not focusing on incumbents on this list, as they’re already well known. However, I’ve always appreciated Hans’s ability to disagree without being disagreeable, even right after I’ve criticized a decision that he made. This well-liked councilmember has also consistently been willing to meet with people on the other side of an issue and work to figure out what he can do for them. 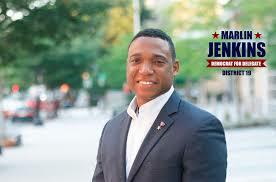 Marlin Jenkins is seeking election to the House of Delegates in District 19. He comes from a small town in Louisiana not far from where Ike Leggett grew up and is an impressive man who worked very hard to create and to take advantage of opportunities. Marlin joined the army at a young age, distinguished himself leading a unit in Iraq, and is now a major and still moving up. Along the way, he first earned a college and then law degree. He and his wife, also a lawyer who Marlin met in law school, have made their home here. An affable man and good listener, Marlin cares a lot about helping make it possible for others to move up the ladder too. Adam Pagnucco reminds me that the same Asian American Democratic club that got into trouble for making a non-existent person their treasurer is the one that just issued the blast in the previous (now removed) post attacking Aruna Miller. As the organization seems highly sketchy as a result, I regret giving their views a wider hearing even if there is nothing inaccurate in my reporting their endorsement and their views. Are Republicans Trying to Help Aruna Miller? 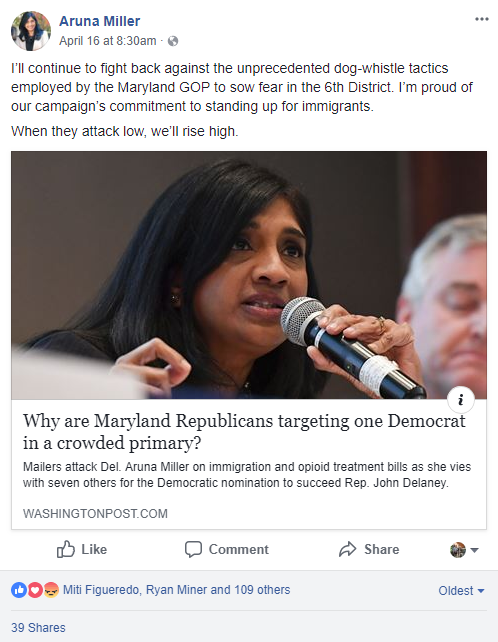 Much has been said about the Maryland Republican Party sending out racist mailers targeting Congressional District 6 candidate Aruna Miller. The standard interpretation of this seems to be that the GOP sees Miller as a strong candidate and is trying to keep her out of the general election. Indeed, the Washington Post editorial board made that argument. But what if the Republicans are actually trying to help Miller instead? The classic example of intervention in an opposing party’s primary is Missouri Senator Claire McCaskill’s promotion of conservative GOP Representative and eventual opponent Todd Akin. McCaskill spent $1.7 million on ads accusing Akin of being “too conservative” during his GOP primary, helping boost him past the rest of the field. And that’s not all – when Akin pulled a successful TV ad in favor of one that flopped, McCaskill schemed to have her pollster contact Akin’s campaign to persuade him to re-run the high-performing ad. Once Akin won his primary, McCaskill exploited his weaknesses to finish him off and get reelected. Two “anti-Akin” ads by McCaskill and the Democratic Senatorial Campaign Committee. Why do we bring this up? 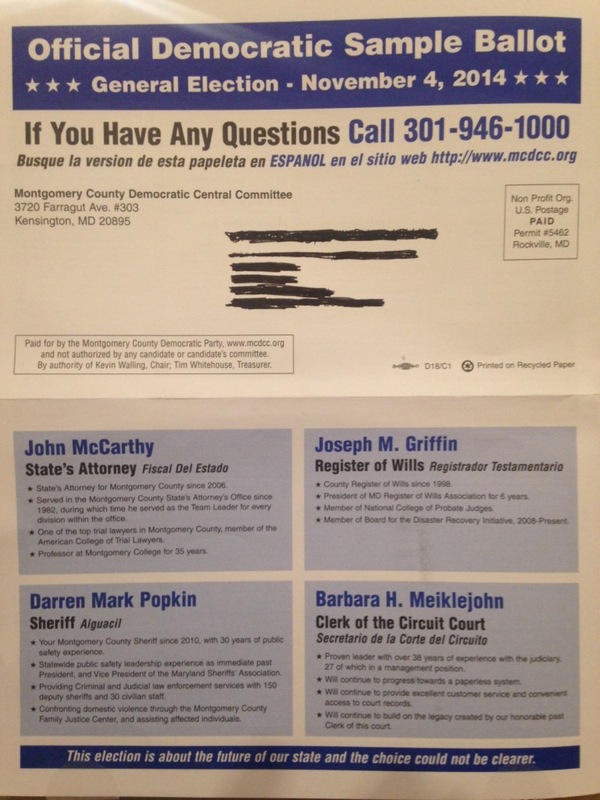 Some of the people who received the GOP mailers were female Democrats, including Miller herself. A few took to Facebook and Twitter to complain about it. And if they didn’t get them directly, they may have read about them in publications like the Washington Post, Bethesda Magazine and India West. How do you think they are going to react when they see a female Democratic candidate getting bashed in racist mail sent by Republicans? They are going to rally to Miller, of course, and that’s what happened on social media. Maybe that’s the point. Miller uses GOP racism to motivate her supporters. Aruna Miller is doing really well in this campaign. She is raising lots of money, doing well at forums, attracting great endorsements from the Sierra Club and the teachers and is the most prominent woman running in a primary electorate that is roughly 60% female. But look at this race from the standpoint of the GOP. 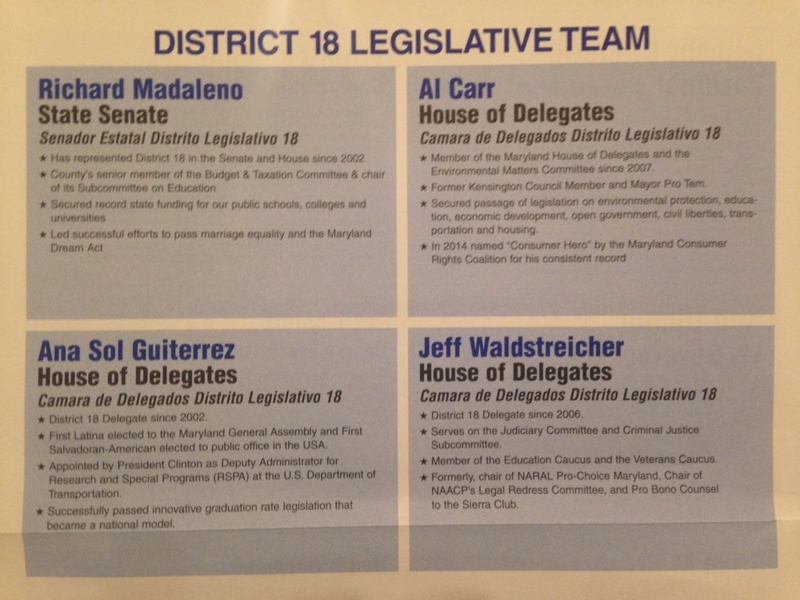 They know David Trone won an absolute majority of the vote in rural Frederick and Carroll Counties in the CD8 primary – the kind of areas that Republicans need to dominate in the sixth district. They know Trone could spend $10 million in a general election, something no other Democrat can do, and that would free up national Democratic money to go to other Congressional districts around the country. Most of all, Trone looks more like incumbent Congressman John Delaney than any other candidate – a center-left businessman who says he has created thousands of jobs. The GOP knows that kind of candidate can win in this district. Why would they want another one like Delaney? And if they don’t, why not help a rival win? Maybe we’re reading too much into this but we don’t think the GOP is stupid. This kind of tactic can work. Just ask Claire McCaskill! Prince George’s County Executive Rushern Baker is experiencing a rapid backlash against his endorsement of wealthy businessman David Trone in his bid for the Democratic nomination for the Sixth Congressional District. 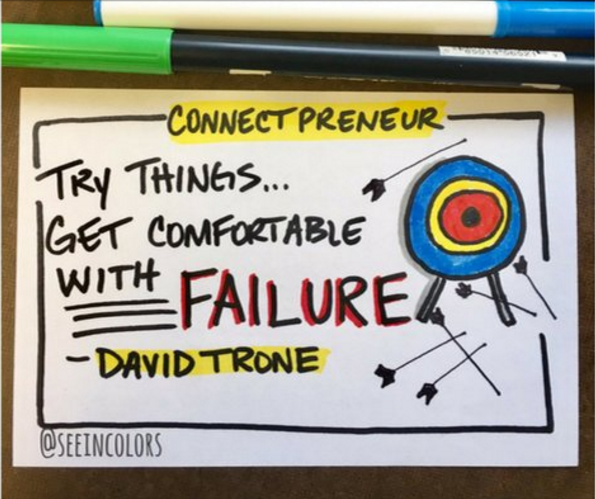 While David, June, and Robert Trone are described as affiliated with Total Wine, Natalie Trone is listed as a student and Michelle Trone with The Boston Consulting Group (BCG). All of the donations were made in October or November of last year. There is certainly no proof of pay-to-play or corruption. Indeed, Baker has been a welcome breath of fresh air on that front in Prince George’s after the disastrous Johnson years. However, Baker’s decision to endorse in a race outside of Prince George’s has raised eyebrows. In particular, I heard that senior women in the General Assembly are especially annoyed at Baker’s decision to endorse in the race when there was an experienced, talented and respected female legislator, Del. Aruna Miller, in the race. Baker’s wading into the race surprised many, as the Sixth does not overlap with Prince George’s. It will be interesting to see if this backlash impedes Baker’s efforts to reach further outside the County. Similarly, I’m curious to see if Montgomery County Executive Ike Leggett, a strong Baker supporter, endorses a candidate in the Sixth District. Unlike Baker, Leggett has long had constituents in the Sixth. Baker’s endorsement has also revived talk of Trone’s use of his wealth. Two years ago, Trone told the press bluntly, “I sign my checks to buy access.” Indeed, former Virginia Gov. Bob McDonnell’s lawyers cited this statement in their brief appealing McDonnell’s corruption conviction. County Councilmember George Leventhal also needled Trone regarding his gaffe. Now, as Michael Kinsley once said, a gaffe is simply when a politician speaks the truth out loud. Trone was forthright and honest on this point, in a manner similar to Donald Trump in presidential bid. But the similarities to Trump and the current concerns regarding the corruption of American politics are hardly likely to endear him to Democratic primary voters. How Much Will Emily’s List Spend in CD6? Recently, Emily’s List announced its endorsement for CD6 candidate Aruna Miller, a move seen as significant in that race. 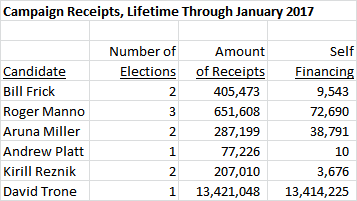 Emily’s List’s Super PAC, Women Vote, has made millions of dollars in independent expenditures (IE) in federal races over the last five cycles. But how effective are they? Let’s start in Maryland. In 2016, Emily’s List invested in three federal candidates: Donna Edwards (U.S. Senate), Joseline Peña-Melnyk (CD 4) and Kathleen Matthews (CD8). The group had an impact: they accounted for at least a million dollars in TV spending for Edwards and basically assumed the bulk of mail duty for Matthews. But all three candidates lost, with Edwards finishing second in the primary and Pena Melnyk and Matthews finishing third (despite both having the Washington Post endorsement). The group spent $3.2 million of IE funds on behalf of the three candidates, including $2.9 million for Edwards. Edwards’ amount was one of the largest single-race investments made by Emily’s List in the 2016 cycle. Data for the group’s IE spending in Maryland appears below. Now let’s examine the group’s IE spending nationwide in 2016. The group invested in 23 races, winning 7 and losing 15. In the remaining race (Florida CD9), the group’s original pick lost in the Democratic primary, but they then spent on behalf of the Democratic nominee, who won in the general. Let’s call that one a draw. It’s important to note that Emily’s List did not spend in every race in which it endorsed. Data for the group’s IE spending nationwide in the 2016 cycle appears below. What can be learned from the results of Emily’s List’s chosen races? Although their win rate and their experience in Maryland are not impressive, they had some notable successes. Perhaps their biggest win was helping to knock out freshman Republican Senator Kelly Ayotte (NH) in a razor-tight win for then-Governor Maggie Hassan. Emily’s List spent $3.2 million against Ayotte. They also spent $3.6 million to hold Harry Reid’s Senate seat in Nevada, helping to boost Catherine Cortez Masto to victory. But besides Ayotte, they tried and failed to knock out seven other GOP incumbents, spending $6.9 million on those races. These were not crazy bets – GOP Senators Pat Toomey (PA) and Richard Burr (NC) were thought to be vulnerable at the time – but they did not work out. 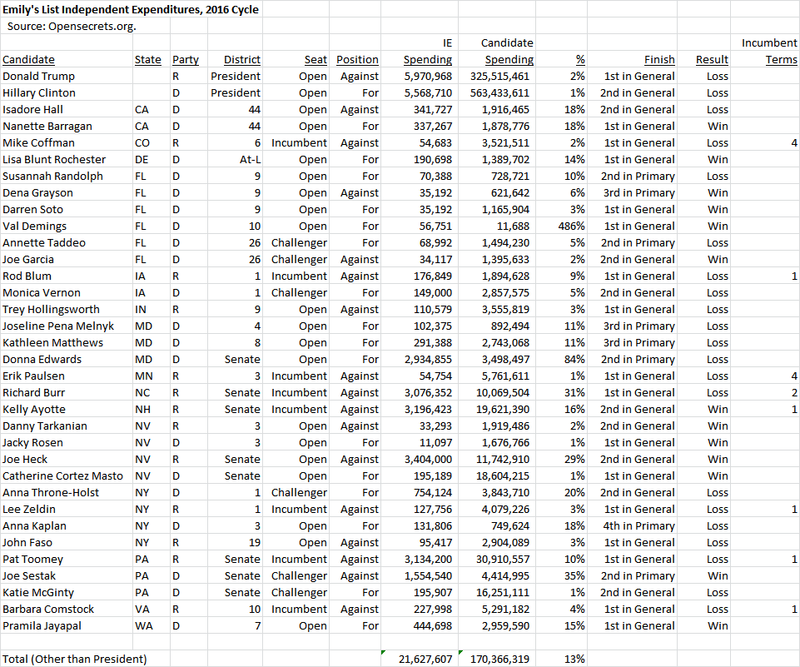 In U.S. House races, Emily’s List spent an average of $218,675 per contest. The group’s highest single IE in a House race was a combined $881,880 to defeat freshman New York GOP Congressman Lee Zeldin, who beat the group’s candidate by 16 points. In many House races, the group spent less than $100,000, which was probably not enough to make a difference. Maryland and New York are the only states in which the group lost three races. We would not blame Emily’s List if they decided not to throw more money our way! 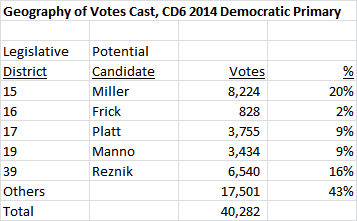 What does all of this mean for CD6? The 2018 elections, in which opposition to Donald Trump is likely to play a significant part, may very well contain more opportunities for Emily’s List and other progressive groups to score victories against the GOP than in 2016. That could draw Emily’s List’s money away from a blue-state primary like CD6 and into districts where GOP incumbents are vulnerable. The group may also consider David Trone’s nearly unlimited finances, which helped outpoll their chosen candidate in CD8 last year, and conclude that it’s not worth opposing him again. All of this means the group could do one of two things. First, it could make a modest investment in CD6, perhaps a couple hundred thousand dollars at most. That would only make a difference in a close race. Or second, as it has done in many races over the years, it could invest nothing at all. Big news in the Sixth Congressional District. EMILY’s List has endorsed Del. Aruna Miller. We’ll have to see how much cash EMILY’s List invests in this contest but they put huge resources into Donna Edwards’ bid for Senate. David Trone may not be the only one with real money in the race. It is yet another sign that Del. Miller is running a serious, focused campaign. She has raised significant dollars on her own and now has the backing of the major national Democratic organization that promotes pro-choice women. Money doesn’t make someone a good Member of Congress. But it sure makes it a lot easier to run a viable congressional campaign. If anyone didn’t already think Aruna is among the candidates to watch, this should get across the message. 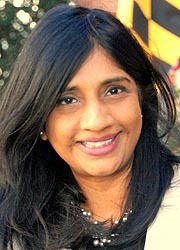 GAITHERSBURG, MD – Delegate Aruna Miller is pleased to announce that she has been endorsed by EMILY’s List for her campaign for Congress in the 6th Congressional District of Maryland. EMILY’s List is the nation’s largest resource for women in politics and has raised over $500 million to support Democratic women candidates. Their grassroots community of over five million members helps Democratic women wage competitive campaigns. Since their founding in 1985, they have helped to elect 116 women to the House of Representatives, 23 to the Senate, and over 800 to various state and local offices. Aruna Miller has been a civil engineer, working for 25 years for Montgomery County. She began her political career by volunteering for her local Democratic Central Committee, going door to door and serving as a precinct captain. In 2010, she was elected to the Maryland Legislature where she represents the 15th District and serves on the Appropriations Committee. Delegate Miller officially entered the campaign for Congress earlier this year and has already surpassed $350,000 in fundraising.